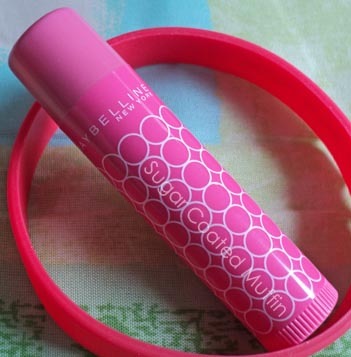 Bought this during my lip balm phase but I've been using it very often recently. I don't normally wear lipsticks since they're so dry but this provides colour & care. My tube is broken already. I've been unable to twist the balm back down so I gotta be really careful about how much I twist up. 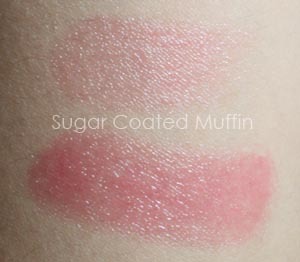 One swipe provides a light flush of colour but you can layer for more colour. The balm is soft and easy to apply. It goes on smoothly and is shiny. It's moisturizing so I'm comfortable with wearing it. The colour's not too intense, giving just a little colour. My conclusion : Loving it at the moment ^_^ This has replaced my other lip products and I've been using it almost every time I go out. This is actually a really pretty colour! I never noticed these lipbalms before. 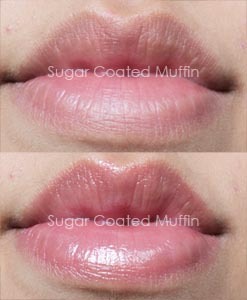 I stopped using them until recently, and my lips are thanking me for it! Wow-- very natural, but definitely a colour enhancer. Plus, moisturizing = <3.